Wallery team thanks you for your continued support but the time has come for us to say goodbye and phase-out Wallery. Discover and display the best social media conversations and social content from your event visitors. 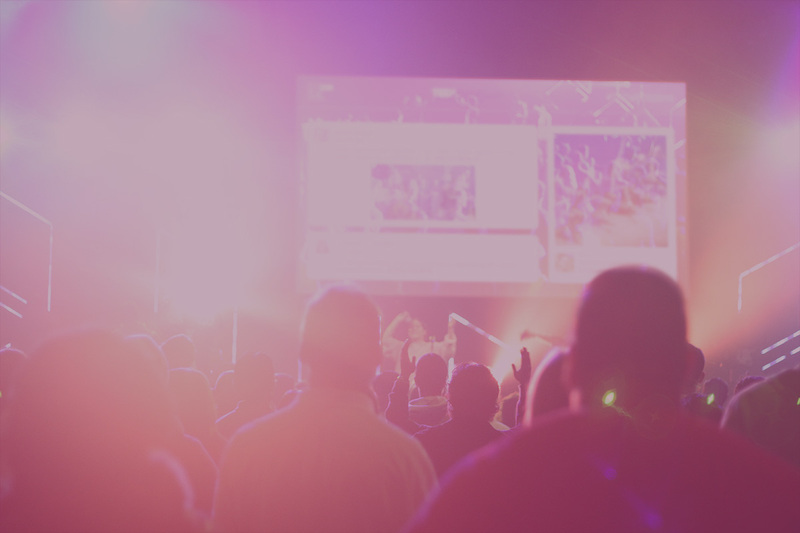 Increase engagement and buzz around your event and make your event trending while adding beautiful visualisations to your social media wall. 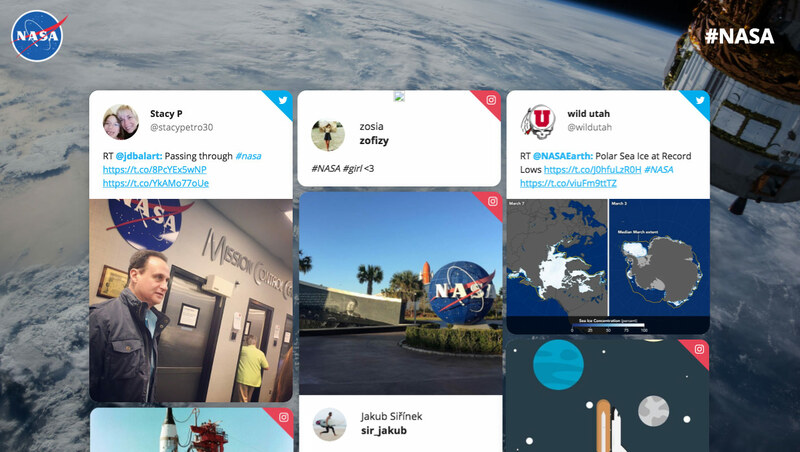 Our Tiles layout, displaying the #NASA hashtag. 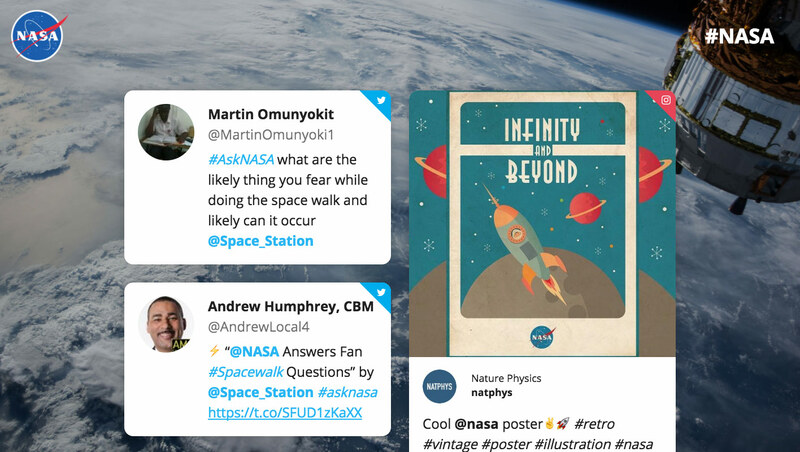 Our One Column layout, displaying the #NASA hashtag. Our Two Columns layout, displaying the #NASA hashtag. Display social conversations about your brand or a campaign on virtually any screen and any digital property. 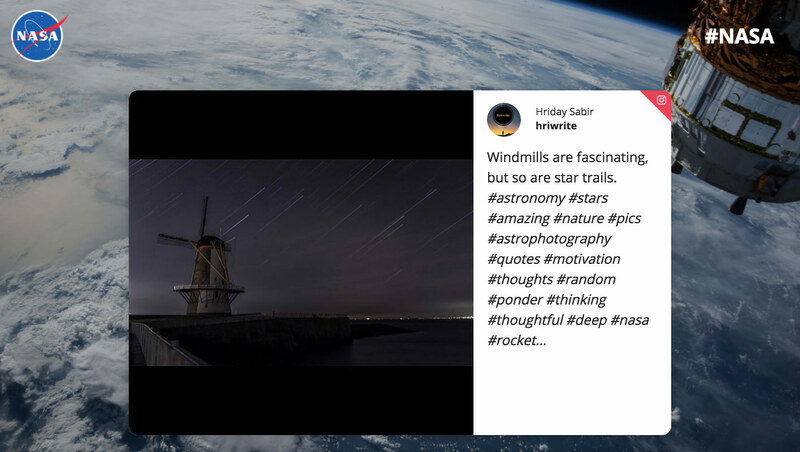 Curate and showcase your earned and owned social media content on a beautiful social media hub. 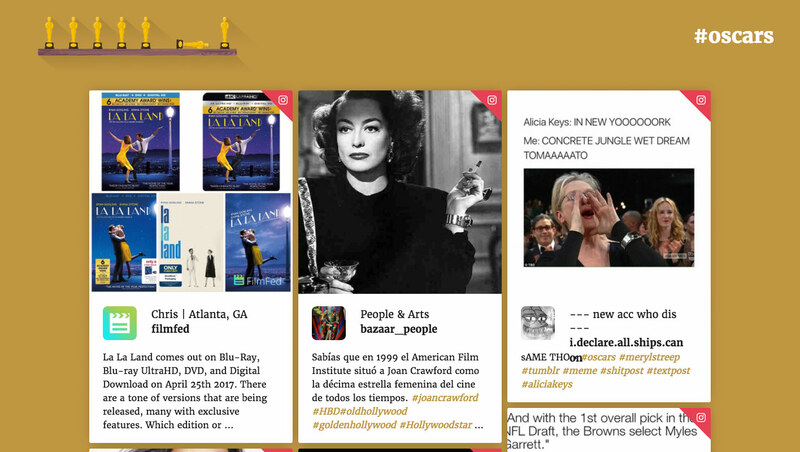 Our Tiles layout, displaying the #Oscars hashtag. 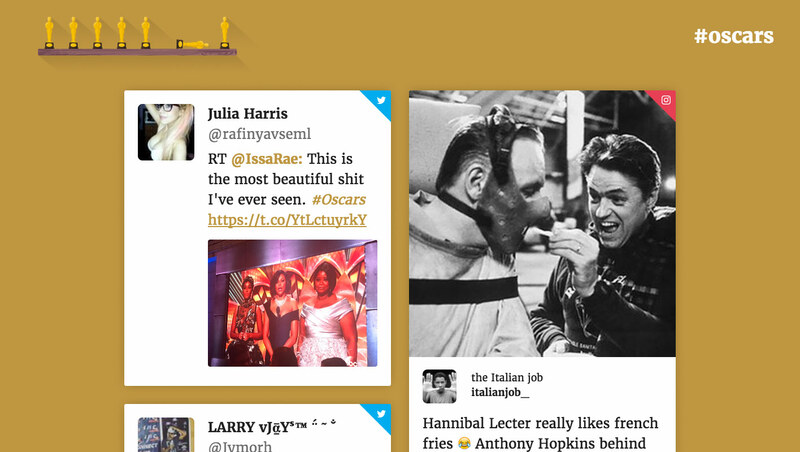 Our One Column layout, displaying the #Oscars hashtag. Our Two Columns layout, displaying the #Oscars hashtag. We are enabling brands to harvest hundreds of millions of social media interactions per day, in real time. We help you analyze these interactions, filter out the noise and then display them on your web, mobile or social media hubs. We help you gain valuable and actionable business insights. We collect all social media content based on your criteria. These can be hashtags, keywords or social media handles and usernames. You curate the best content. You can moderate it manually or apply automatic filters to get the best and most relevant content. 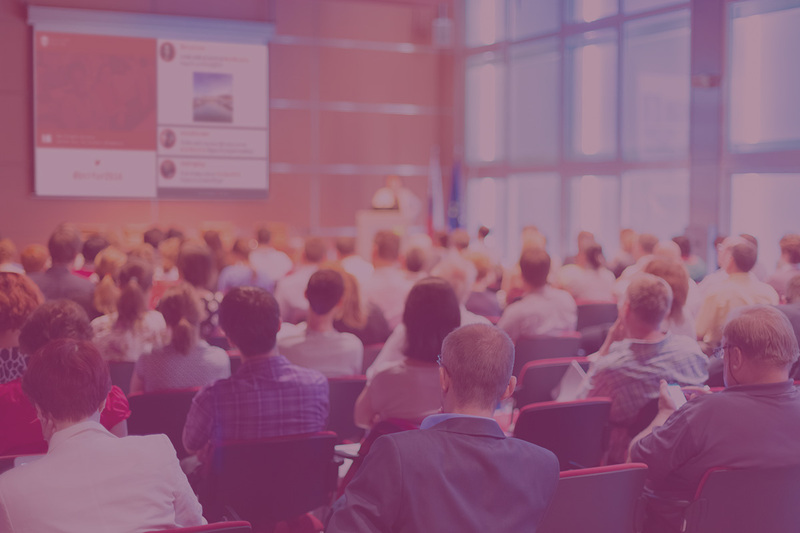 Display your social media wall on a large screen at your event venue, as a permanent conference room display, or embed it to your website! We help you generate excitement and interest for your events and conferences. Boost your social media campaigns and enhance brand awareness. 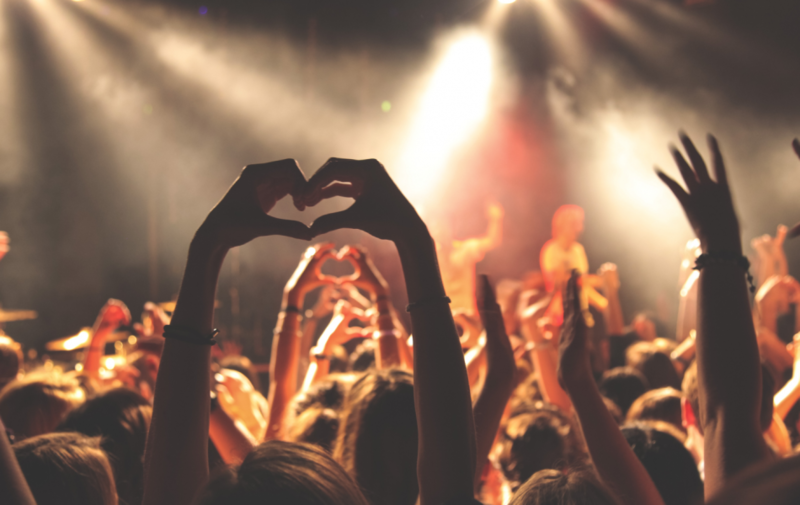 Give your concert and festival-goers even more than they hoped for! Use our solution to connect with your viewers in real﻿-﻿time. 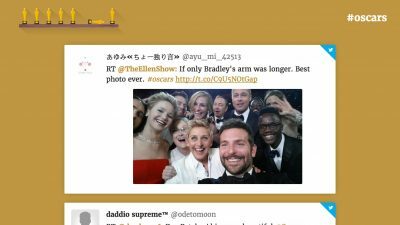 Wallery is a valuable tool for social listening and engagement. Your students and faculty are on social media. Be there with them! With Wallery in your toolbelt, you are sure to wow your clients time and time again. Fits in perfectly into your business incubator website, or in the office itself!